Riyadh-based Gathern has raised seed funding from a group of investors, the startup announced today. The investors include Saudi-based Inspire Ventures and Vision Ventures, 500 Startups, Aquilaria Capital Management Fund, and Deyarat Trading Company. The round was also joined by Abdulla Al Rumaih, co-founder of Flyin, and two other individual investors including Abdulrahman Al-Janini and Nayef Al-Athel. The startup did not disclose the size of investment. According to trackMENA’s data, Gathern is the first Saudi startup with a female co-founder to have raised venture capital (excluding those that raised capital by joining an accelerator program). 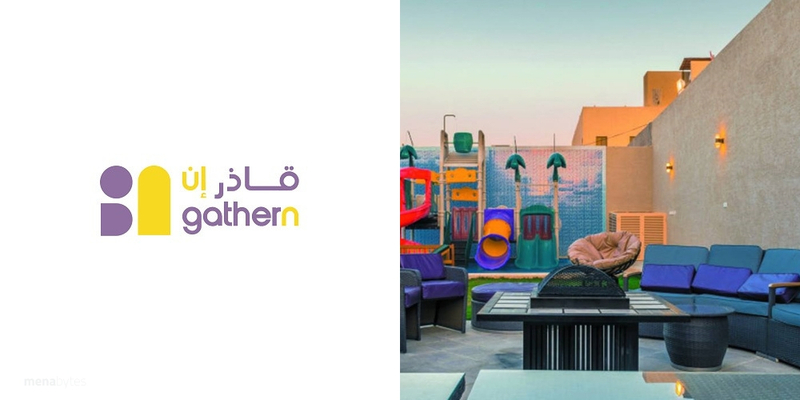 Founded in 2016 by Latifa Altamimi and Faisal Alanazi, Gathern allows users to book chalets and camps using its online platform or mobile apps. Think of it as a Booking.com for Chalets in Saudi Arabia. The platform since launching its services has enabled booking of more than 30,000 nights across eight cities in the Kingdom. The platform and apps list chalets and camps with pictures (including the 360-degree views) that are taken by professional photographers on behalf of Gathern. The startup doesn’t charge chalet owners for this. In addition to pictures, Gathern also lists details about all the properties including the facilities it offers, how many people or how big of a gathering the chalet is ideal for, what’s available in the kitchen, how many washrooms does the property have, checkin and checkout time, and more. Gathern also has rating and reviews for the properties listed on its platform that come from only those who have booked a property. It does not list the addresses of properties and shares them with the user only after the book a property, in the confirmation email. If you’re a user, you can log on to the platform or download their app, browse the chalets and camps, filter them by price, location, rating, facilities, no. of bedrooms, whether the property has a swimming pool or not, and more. You can read details about each property, see their pictures and once you’ve picked a property, you can reserve it online without having to call anyone. The platform has six payment methods payments by a credit card, Mada card or bank transfer. Gathern also offers 24/7 customer service through a helpline. We could not confirm but it seems that the platform makes money by charging a fixed commission from property owners for every transaction. The startup was able to close the seed funding round because its excellent performance during the last two years that have helped it become the leading chalet booking platform across Saudi Arabia, said Latifa Altamimi, co-founder of the company, adding that they will use the money to further develop Gathern’s technology and expand its customer base. Faisal Alanazi, co-founder of Gathern, notes that the growth of domestic tourism in Saudi offers them a great opportunity and they plan to launch some new services early next year to make use of it.